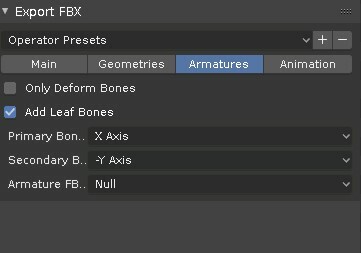 To export from Blender, make sure your content has been weighted to all the bones, has an armature modifier attached that is linked to the rig, and then choose “File/Export/FBX”. If you are exporting only the selected items, make sure you have selected both the mesh(es) and Armature that they are attached to. 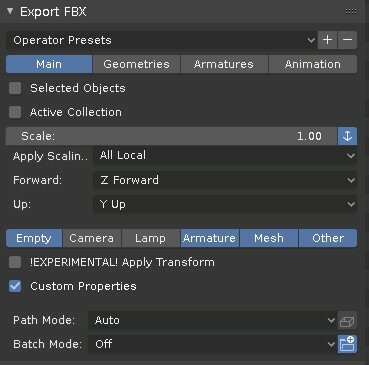 When importing in Unity, you will usually need to set the FBX scale to 100.